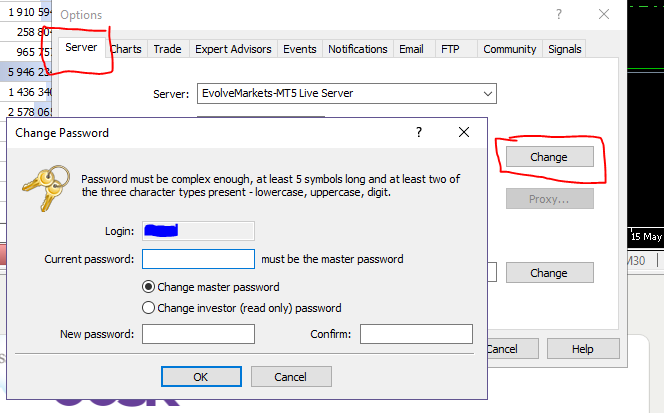 Evolve Markets Metatrader trading account passwords are separately managed passwords from the web login . 2.) 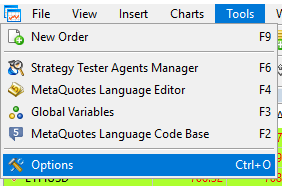 In the Options window, select the Server tab, then click on the Change button. 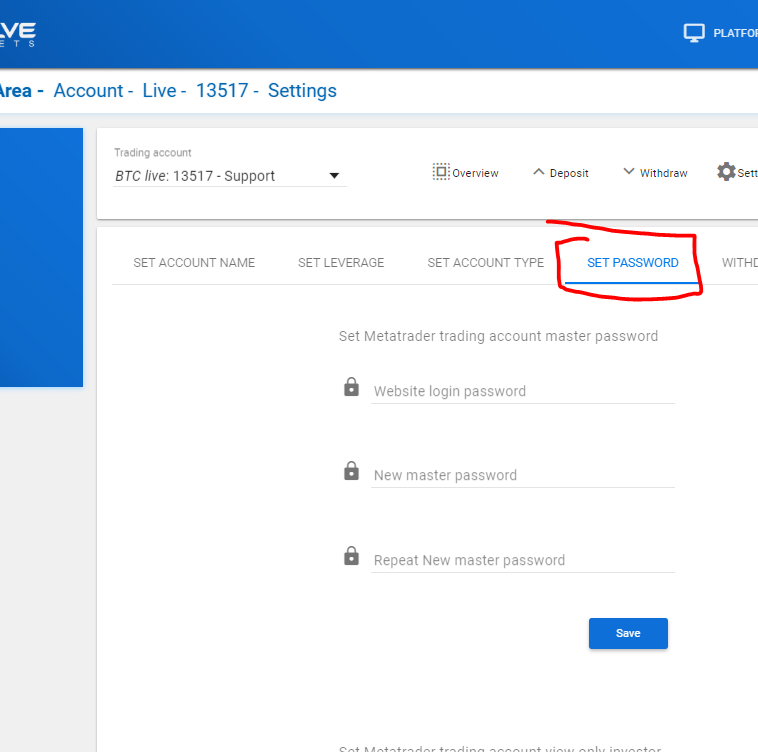 Proceed to change your password for your master or investor password .